Here's a must-read for you. It's really short, so it'll only take 5 minutes to read. But oh will those five minutes be worth it! I wish this had been my introduction to reading Martin Luther. It's certainly one of my favourites, and it's definitely where I'd recommend anyone to start reading Luther. 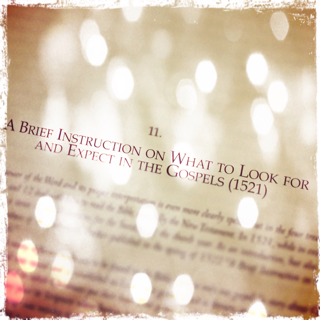 But not only that, it's just so good that even if you have no idea who Martin Luther was or why he matters, you'll enjoy and profit from the five minutes it will take to read "A Brief Instruction On What to Look For and Expect in the Gospels". 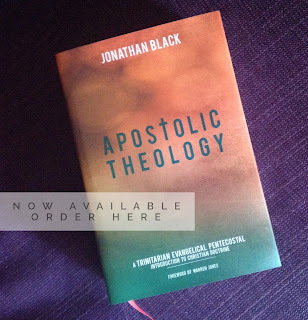 And even if the title might make you think he's only talking about Matthew, Mark, Luke and John, it'll soon become clear that he has a lot more in mind than just four books when he talks about reading the gospels. You must grasp Christ at a much higher level. 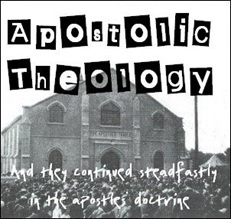 Even though this higher level has for a long time been the very best, the preaching of it has been something rare. The chief article and foundation of the gospel is that before you take Christ as an example, you accept and recognize him as a gift, as a present that God has given you and that is your own. This means that when you see or hear of Christ doing or suffering something, you do not doubt that Christ himself, with his deeds and suffering, belongs to you. On this you may depend as surely as if you had done it yourself; indeed as if you were Christ himself. See, this is what it means to have a proper grasp of the gospel, that is, of the overwhelming goodness of God, which neither prophet, nor apostle, nor angel was ever able fully to express, and which no heart could adequately fathom or marvel at. This is the great fire of the love of God for us, whereby the heart and conscience become happy, secure, and content. This is what preaching the Christian faith means. When you open the book containing the gospels and read or hear how Christ comes here or there, or how someone is brought to him, you should therein perceive the sermon or the gospel through which he is coming to you, or you are being brought to him. For the preaching of the gospel is nothing else than Christ coming to us, or we being brought to him. When you see how he works, however, and how he helps everyone to whom he comes or who is brought to him, then rest assured that faith is accomplishing this in you and that he is offering your soul exactly the same sort of help and favor through the gospel. If you pause here and let him do you good, that is, if you believe that he benefits and helps you, then you really have it. Then Christ is yours, presented to you as a gift. Dave K has links to the full text in 2 parts, so you can read it right now! If you'd like it in book-format, you can find it in Martin Luther's Basic Theological Writings (edited by Timothy Lull), which is well worth getting and contains many other Luther gems (like The Freedom of a Christian, Two Kinds of Righteousness, The Heidelberg Disputation, and lots, lots more).